Hispasat 1C and 1D are powerful telecommunications satellite based on a Spacebus-3000B2 platform with 28 Ku-band channels built by Alcatel Space for the Spanish company HISPASAT S.A. They offer pan-European and pan-American multi-area coverage. This coverage can extend to certain areas of North Africa. The flexibility offered by the satellite's design will allow users to benefit from intercontinental links between Europe and the Americas. Hispasat 1C and 1D provide a complete range of services: digital T.V. broadcast (including live television), telecommunications, data and video transmission and access to Internet and multi media services. 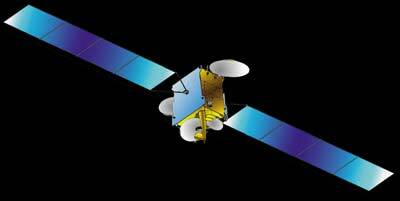 Alcatel Space was already the contractor for Hispasat 1C, in orbit since February 2000. In March 2016, Hispasat announced, that Hispasat 1C and Hispasat 1D will be renamed Hispasat 84W-1 and Hispasat 30W-4 respectively. Hispasat 84W-1 (1C) was retired in June 2017 and sent to a graveyard orbit.